Just as other regions are starting to welcome the warmer days, we’re already well into the summer season in Singapore. But our year-round tropical climate also comes with pesky skin issues such as breakouts, excess sebum production and makeup meltdowns. Fret not, we’ve got you covered with these skincare must-haves to keep you looking fresh no matter how many hours you spend in the blazing sun. While slathering oil all over your face in the blistering heat might sound unpleasant, an oil cleanser actually makes it easier to remove gunk and doesn’t strip the skin of its natural oils. Opt for the FANCL MCO Mild Cleansing Oil, which does an amazing job of lifting all traces of grime and makeup – even the most stubborn of waterproof and long-wearing formulas – while leaving your skin dewy and hydrated. Available at all FANCL stores. 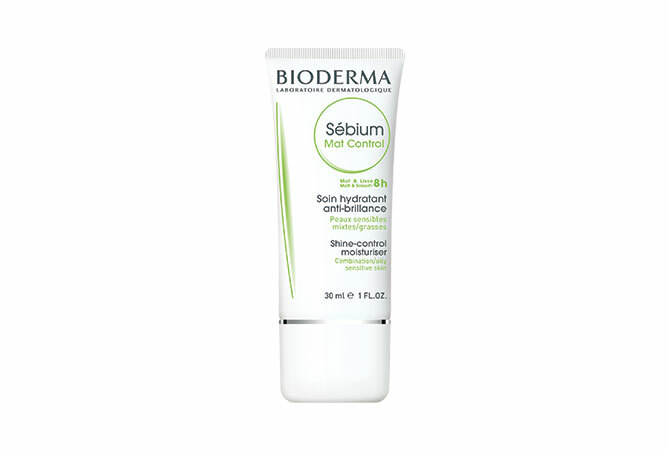 Keep shine at bay with the Bioderma Sebium Mat Control. Formulated with mattifying micro powders, zinc gluconate and vitamin B6, this daily moisturiser helps to control sebum without drying out your skin. Plus, it can even be used as a makeup base so you’ll look flawless all day. Available at major Guardian and Watsons stores, and selected retailers. A new anti-pollution skincare line by Japanese brand THREE, this holistic range is infused with a natural blend of organic essential oils and botanical ingredients to restore skin to its natural glow. We’re loving the THREE Treatment Lotion, which not only tones and smoothens out your skin but also protects it against damage caused by harmful UV rays. Available at all THREE stores and boutiques. 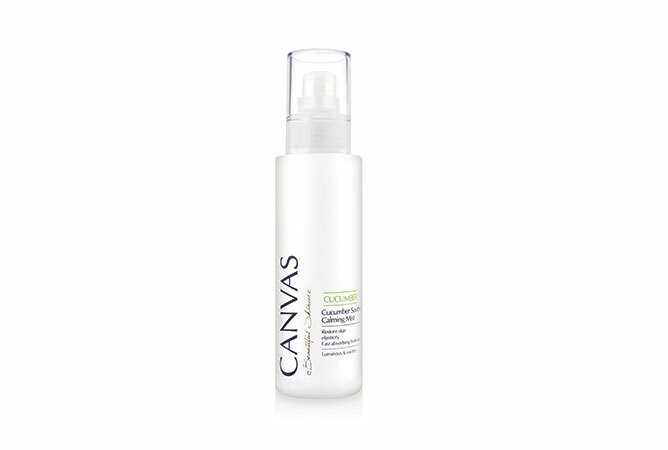 For an instant pick-me-up, reach for the CANVAS Cucumber Sooth Calming Mist. Enriched with ascorbic acid and caffeic acid, keep this alcohol-free mist handy to freshen you up in a jiffy. But aside from the refreshing factor, it also helps to soothe parched skin and ease sunburns while sealing in moisture. Spritz this baby all over your face, neck and body for a quick dose of hydration (and protection)! Sweating bullets the minute you step out into the sun? For the men, look no further than the NIVEA Men Liquid Foam. 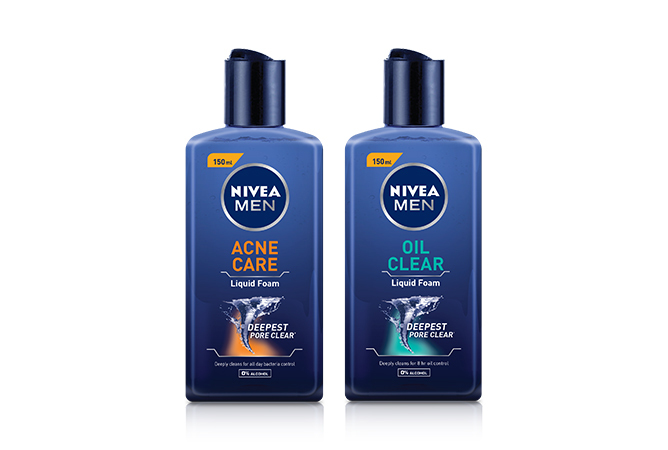 Available in two variants, the NIVEA Men Oil Clear Liquid Foam penetrates deep within pores to curb shine and oiliness, while the NIVEA Men Acne Care Liquid Foam helps to prevent breakouts for those with acne-prone skin. And with 8-hours of oil control, you go about your day without worrying about looking greasy! Available at Guardian, Watsons, Cold Storage, NTUC and Fairprice outlets and other major retail stores. 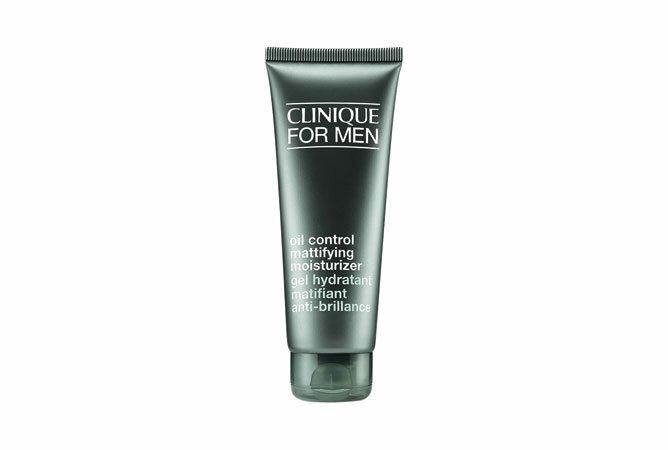 The Clinique For Men Oil Control Mattifying Moisturizer does exactly what it says on the tube. Does it banish oil? Definitely. Is it hydrating? Good enough. What about its mattifying properties? Not too bad. But what we really like about this is its lightweight formula, which makes it incredibly comfortable to wear in our relentless weather. We’ve recommended a ton of sunscreens from the most affordable to the cream of the crop, but our go-to sun-blocking product recently has been the Biore Refresh Bright Anti-Pollution Body Care Serum. 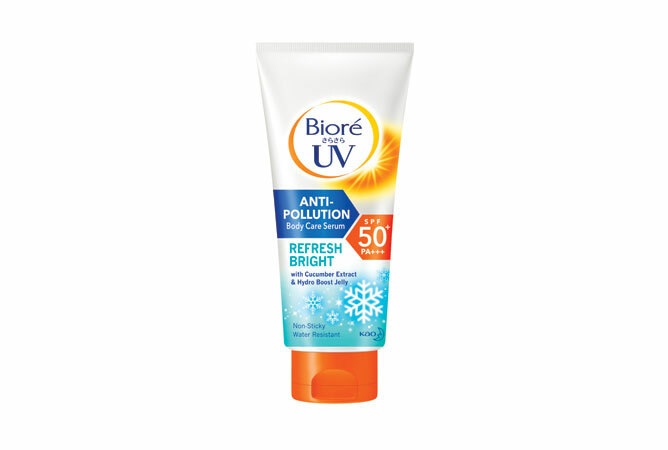 The newest addition to Biore’s anti-pollution range, this multitasking powerhouse has a maximum SPF of 50+ PA+++ to guard you against UVA and UVB rays. It also contains a hefty dose of cucumber extract, hydro boost jelly and menthol so it’ll feel super calming and cooling on your skin – ain’t that the best sensation ever when it’s dreadfully hot outside? Available from April 2018 onwards at selected Watsons, Guardian and NTUC outlets. More related stories: Guide To Sunscreens Part 1: Knowing Your UVA to PA+++, Guide to Sunscreens Part 2: What Type Of Sunscreen Is For You? 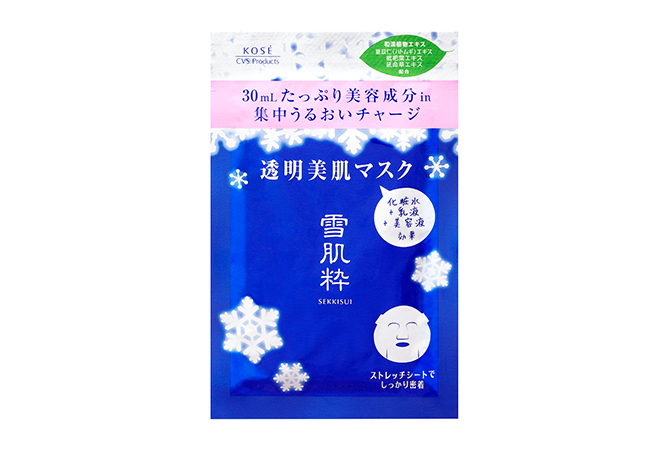 Mention 7-Eleven and one would immediately think of the endless aisles of sinful food choices – but all that changed when Japanese skincare brand KOSE announced that they’ll be stocking up their exclusive KOSE SEKKISUI range at your neighbourhood 7-Eleven store right here in Singapore. And you have one more thing to look forward to: everything’s under $20. Here’s what you can expect from the collection. 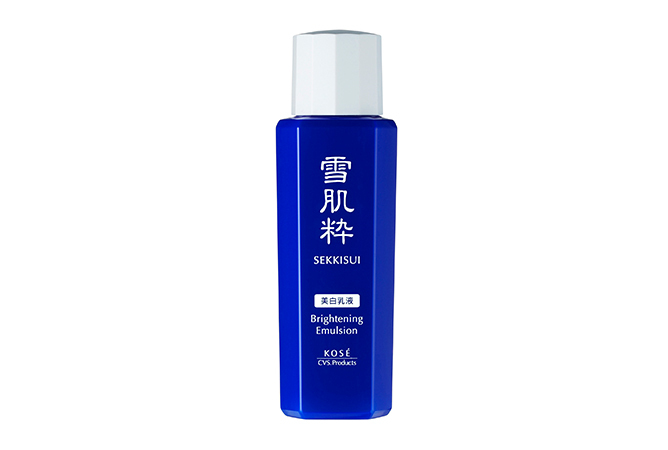 Undeniably the star product of the brand, this silky face wash is infused with oriental herbal extracts to lift dullness and brighten up your complexion, leaving your skin feeling smooth like a baby’s you-know-what. For those with dry skin types, reach for this brightening lotion that will help to restore your natural glow in no time. We heard it works especially well on tan lines! If you’re not a fan of sticky formulas, its emulsion counterpart might do the trick. This super-hydrating saviour has a lightweight texture and absorbs easily into your skin without leaving any greasy residue. A lotion, emulsion and serum all in one handy sheet, this do-it-all mask delivers an intense dose of moisture into each pore for a fresh, dewy complexion. Plus, it doesn’t contain any artificial colouring or mineral oils so it’s incredibly gentle on your skin. KOSÉ SEKKISUI is now available at 280 7-Eleven stores islandwide. Want enviable, bouncy locks? Expert stylist Yui from Japanese hair salon COVO Singapore shares her essential tips. Leaving your hair to air dry may seem like the best alternative to the hair-damaging heat that comes with blowdrying, but as Yui shares, “Scalp temperature is lowered with wet hair, which isn’t good for the scalp.” She recommends applying leave-in hair treatment before using a blowdryer set on ‘cool’ to help close hair cuticles and give hair a healthy, glossy texture. Apart from improving the texture of your hair, leave-in treatment can help to tame or add volume to your tresses. Yui recommends using either a cream-based leave-in treatment for neater hair, or an oil-type treatment on the hair ends for a bouncy texture. For a low-maintenance hairstyle, avoid adding too many layers as the flyaway strands may increase the frizziness of your hair. “You have to learn how to take care of your hair,” Yui shares. “Even if you pay for an expensive haircut or treatment, learning to upkeep it at home is important.” Salon-grade products go a long way too – she recommends haircare ranges from Mucota and Hoyu. 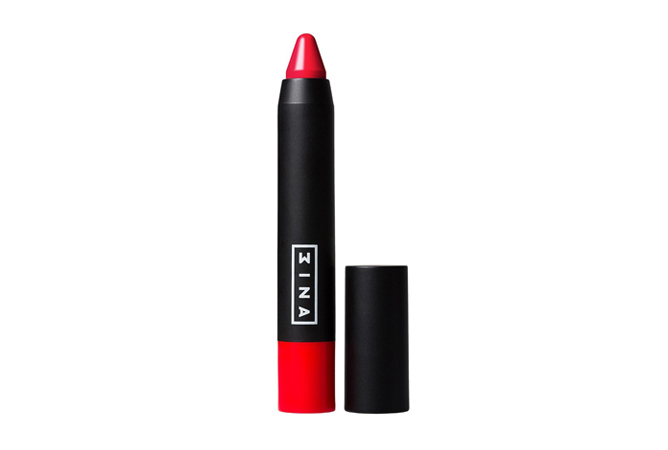 There’s nothing quite like a classic red lip to spice up your beauty look. Whether you’re rocking a romantic ruby shade on a hot date or adding a touch of auspicious red to your Chinese New Year outfit, pucker up and paint the town red with our top lippie picks. 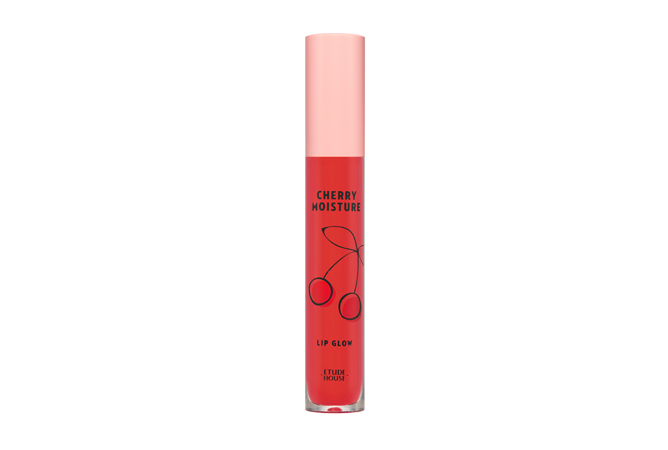 If a lip gloss and a lip oil had a love child, the ETUDE HOUSE Cherry Moisture Lip Glow would be it. Packed with rosehip oil, jojoba seed oil and sweet almond oil, it lends a natural hint of colour while keeping your pucker moisturised. 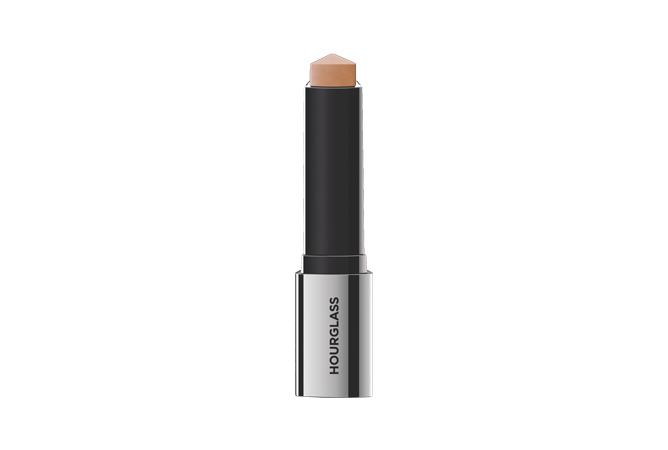 Although it has a slick texture, we like that it doesn’t come off as tacky and sits comfortably on your lips. Plus, it doesn’t hurt that it smells and tastes delish! We love a good lipstick bullet, but there’s just something about the Flat Velvet Lipsticks from THEFACESHOP that could easily turn us into flat-topped converts. 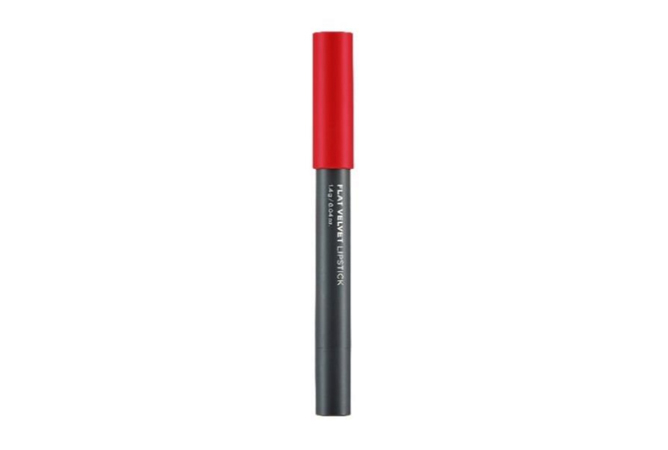 Thanks to its angular tip, it allows you to create a more defined lip look with a semi-matte finish that lasts. Get it in its signature London Red hue for extra oomph. 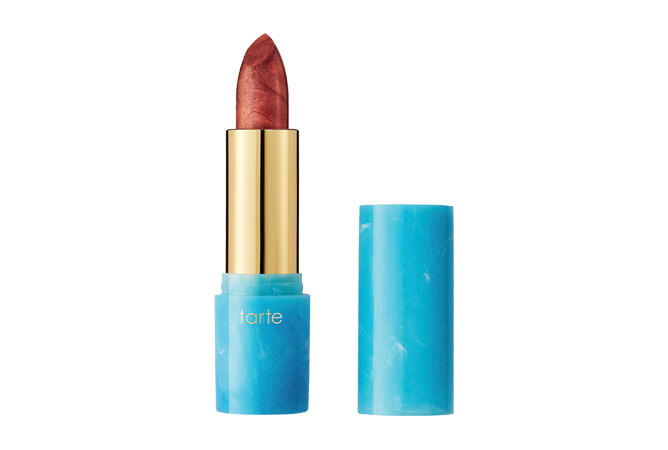 If you’re looking to dazzle your date on V-Day, slap on the Tarte Color Splash Shade Shifting Lipstick in this mesmerising copper metallic shade that’s to die for. Tip: layer it over a crimson lip for a swish of glimmer and off you go to steal the show! 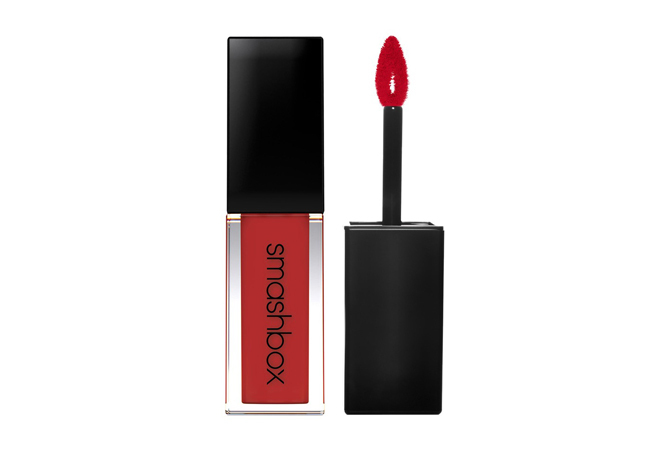 For a long-wearing pout that stays poppin’ all day, you can’t go wrong with the Smashbox Always On Liquid Lipstick. Swipe it on for a fuss-free red hue that stays put comfortably for hours on end. For maximum glamour, the M.A.C Retro Matte Liquid Lip Colour Metallic glides onto your lips smoothly and dries to a matte metallic finish that will not smudge, budge or transfer mid-smooch. And with a name like Love Weapon, this lippie is pretty much made for Valentine’s Day! For those who are dining out on V-Day or on the go during the CNY festivities, take this Chubby Lipstick from 3INA for a spin. This easy-to-use chubstick comes in a handy pen-shaped format that lets you draw on lip colour in seconds – perfect for midday touchups! 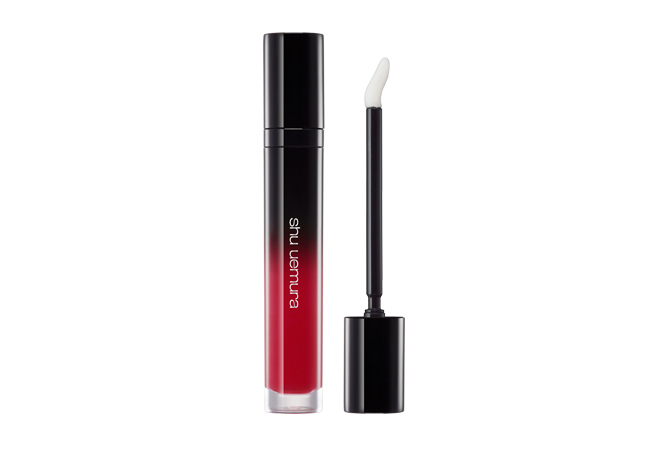 If you’re going all-out gloss queen mode, it doesn’t get anymore luxurious than the shu uemura Laque Supreme, which is formulated with special technology to offer high-shine and super pigmented colour in one swipe. 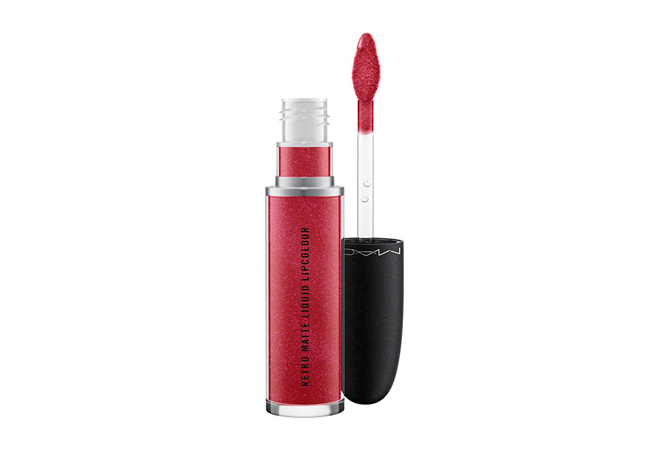 We dare you to pick up the signature lacquer-red shade that’s sure to turn heads wherever you go. From shimmering highlighters to glitzed-out eyeshadow palettes, unicorn nail polishes to holographic hair foams – there’s a lot to look forward to from Sephora’s latest crop of Spring 2018 beauty launches. Here are the products we’re raving about the most. 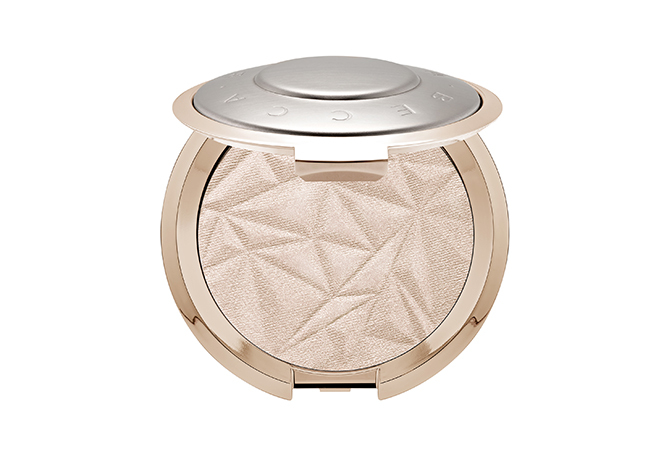 For an instant glow up, look no further than the Becca Shimmering Skin Perfector Pressed in a gorgeous Vanilla Quartz shade. Infused with multi-toned pink pearls, we love how this oh-so-creamy highlighter delivers a natural pop of radiance without making you look like a glazed donut. 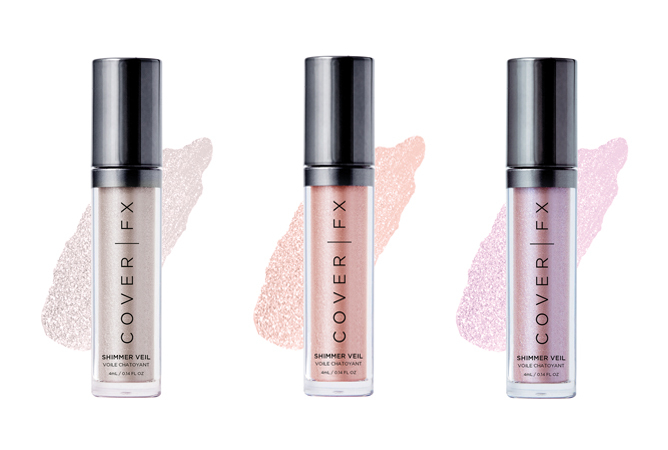 Turn up your sparkle for the upcoming festivities with the Cover FX Shimmer Veil, which is formulated with a crease-proof cream texture and comes in six iridescent shades: Halo, Celestial, Amethyst, Moonstone, Magic and Soleil. The best part? It’s multi-functional so you can use it on your eyes, lips, cheeks and wherever you want to add some bling. We’re already obsessed with the cult favourite Hourglass Ambient Lighting Powder – but as if we needed another reason to show ’em more love, the beauty giant drops the brand new Vanish Flash Highlighting Stick that comes in five shades for a poppin’ glow. Plus, it’s packaged in a stick form that makes it portable enough to just toss in your bag and whip out for a quick fix anytime. When it comes to hair colour trends, we’ve pretty much seen everything from granny chic to all-out rainbow. But the latest craze sweeping the Insta-world is perhaps the most magical one yet. We’re talking holographic hair – and no, you don’t have book a trip to the salon to achieve this multi-tonal look. 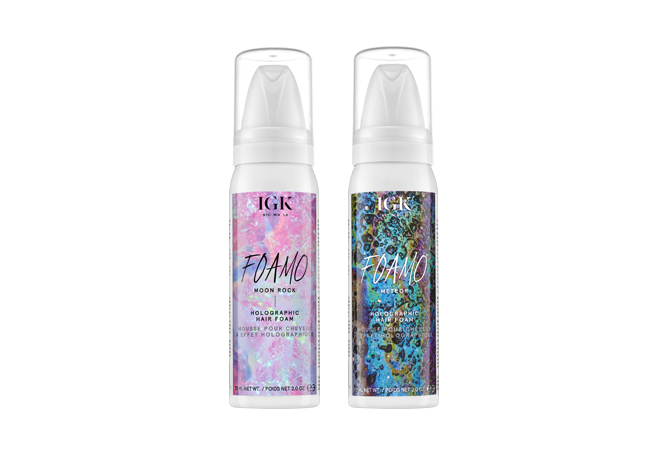 One pump of this foam wonder can instantly turn your everyday mane into a rainbow of shade-shifting pastel tones. Simply slater a dollop of product onto a comb, run it through your strands, and voila! 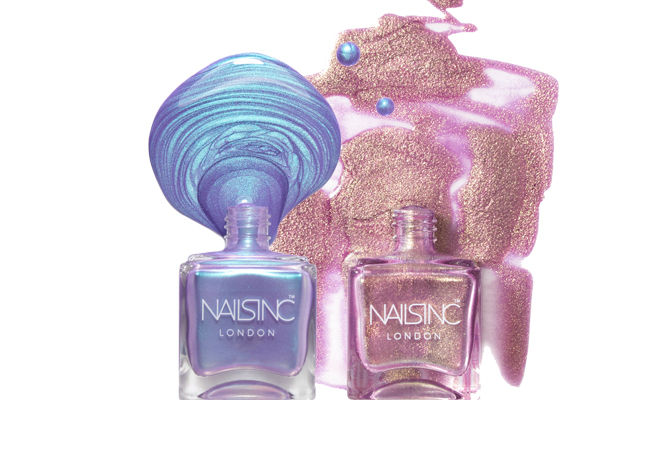 Your mythical dreams are about to come true thanks to Nails Inc. Bring on the holographic magic with the Sparkle Like A Unicorn Nail Polish Duo, which consists of two high-shine polishes for double the unicorn fun: Rainbow Wishes and Dream Dust. 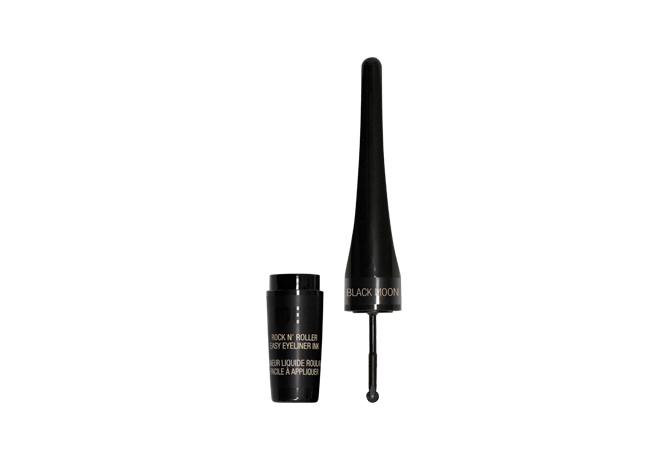 Love the look of liquid eyeliner but not quite sure how to apply it perfectly? Enter the Nudestix Rock N’ Roller Easy Eyeliner Ink, which comes with a roller ball applicator that allows you to create a variety of looks with ease – whether you’re going for a traditional cat-eye or fancy rocking a full-on metallic look. Perfect for beginners! 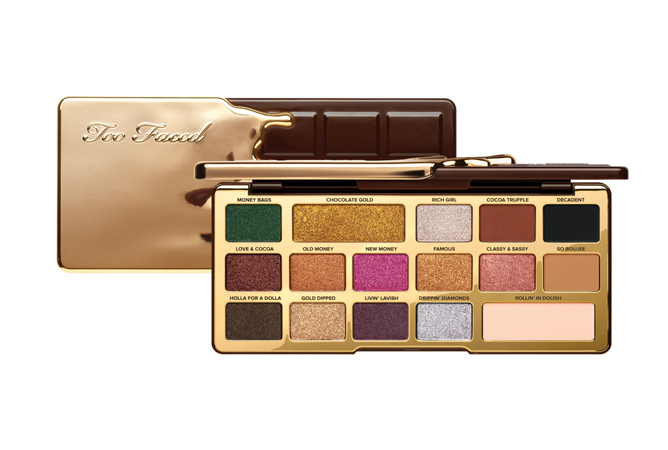 If there’s one thing Too Faced has it clear, it’s that they certainly aren’t messing around in the palette department. Now, the brand has upped the ante by combining two of our favourite things into one solid palette: chocolate and real gold. The result is a deliciously decadent array of matte and metallic finishes that promises insane colour payoff in just one swipe. Now, this one’s a real gem that Queen Bey will be proud of. 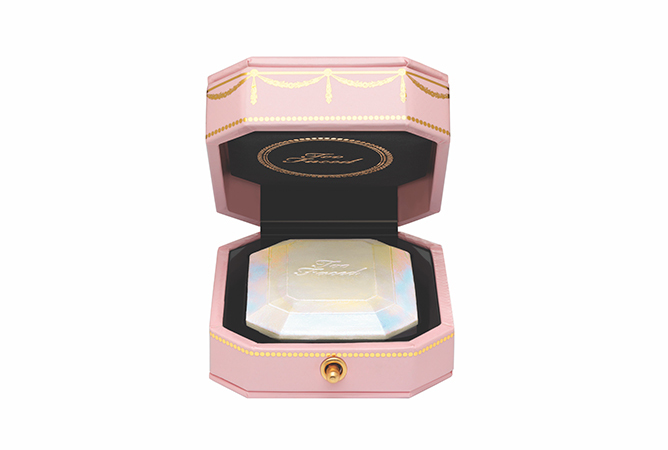 Shaped like a gemstone, the Too Faced Diamond Light Highlighter is made with real crushed diamond powder and light reflecting pearls to create a “rainbow diamond fire glow”. Ready to shine bright like a diamond? 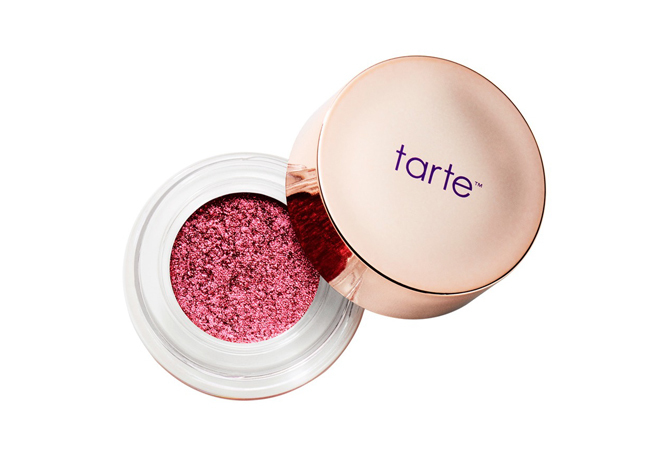 Amongst all the new makeup must-haves Tarte will soon be blessing us – from shape-shifting lippies to killer contour palettes – what we’re most thrilled about is the Tarte Chrome Paint Shadow Pot, which is touted as the brand’s most pigmented eyeshadow formula yet. And trust us when we say a swipe of your finger is all you need to achieve the mirrored lids of your dreams – no brushes needed! Affordable Cult Beauty Brand 3INA Is Now Available In Singapore!